The villa has 3 bedrooms, 6 people could enjoy this villa overlooking golf course and its private pool. Magnificent villa, located in a residence Targa. VILLA on golf, due south, facing Atlas, in Marrakech. 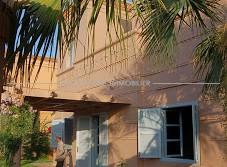 Villa located in a golf residence perfectly maintained and secured.